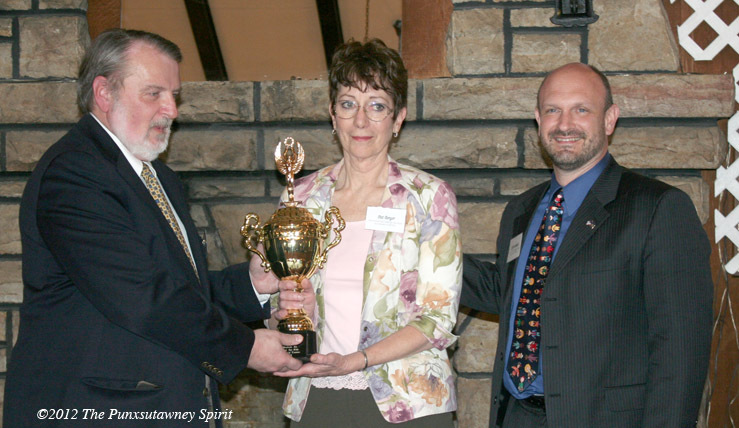 On April 11, 2012, The Brookville Area Chamber of Commerce presented the President’s Cup Award to Western PA CARES for Kids! Pictured on the right is BACC President, Randy Bartley presenting the award to CARES Executive Director, Pat Berger and CARES President, Jefferson County District Attorney Jeff Burkett. Since 1972, the President’s Cup is awarded yearly to a local organization “in recognition of substantial and meaningful contributions to the community”. Western PA CARES for Kids also recieved citations from PA State Representative Sam Smith, U.S. Representative Glen ‘GT’ Thompson and U.S. Senator Joe Scarnati. The Stoltz Family Dealerships gave away $26,000 to 26 local charities in the communities they serve as their way of saying thanks for 26 years of business. Western PA Cares for Kids Director, Pat Burger, received the donation from Todd and Rebecca Stoltz on November 5th, 2012. 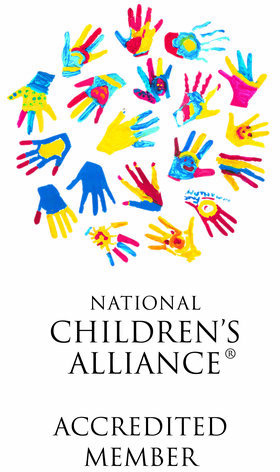 Friends of Western PA CARES for Kids is proud to announce that we have been selected to be a part of the 2012 Combined Federal Campaign (CFC). 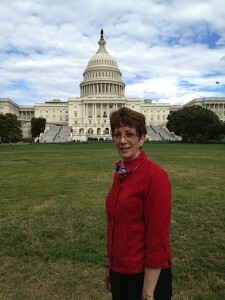 The U.S. government-sponsored CFC is the world’s largest and most prestigious workplace fundraising drive. The mission of the CFC is to promote and support philanthropy by providing federal employees with an opportunity to make a difference in the lives of those in need. Each fall, Federal employees are invited to support eligible national and local charities. Employees choose the groups they wish to support from a list of approved charities that have met the U.S. federal government’s high standards of program impact and financial accountability. The 2012 CFC official campaign season runs from October 1st through December 1st. Through the CFC, federal employees have raised over $7 billion since 1961 to help sustain community, state, national and international health, educational, environmental and human services. Many of you ask how you can help support Friends of Western PA CARES for Kids’ mission, and this is an easy way to make a big difference! If you are employed by the Federal government, please consider giving to Friends of Western PA CARES for Kids through the CFC. If you have friends or relatives who are Federal civilian, military or postal employees, please encourage them to choose Friends of Western PA CARES for Kids. It’s simple; just select Friends of Western PA CARES for Kids / CFC #47294 for the CFC contribution. 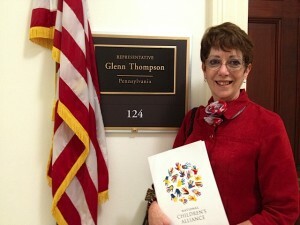 We are now listed under Independent Charities of America’s umbrella and listed as Friends of Western PA CARES for Kids. Our number is 8000-0231. The State Employee Combined Appeal (SECA) is the commonwealth’s annual combined charitable giving campaign for employees. During the months of September through November, employees may donate to any of hundreds of participating non-profit charities. Find out more about the SECA campaign. The weather had been extremely hot before race day but we were pleasantly surprised with an overcast day and a good day for racing. There were 119 pre-registered participants and approximately 40 more registered on the day of race. Participants ranged in ages from 3 years old to 60 years old. Yes I said 3 years old. It was his first event. His mom ran the first 3.1 miles, his dad biked the 12 miles and then mom ran beside him as he ran the 2 miles of the last leg of the duathlon. The duathlon began at 9:00 and the 5K at 10:00. An awards ceremony followed the competition with plaques and prizes for top winners. All children 15 years old and under received ribbons and medals for their participation in the day’s events. Participants who brought donations to help Western PA CARES for Kids Child Advocacy Center, a nonprofit agency working to stop child abuse one child at a time, were eligible for prizes provided by our generous corporate and gold sponsors. Those who brought $75.00 or more were eligible for grand prizes and those with less than $75.00 were eligible for door prizes. Many participants worked hard to bring in large donations. Our top donation was $2,855.00 brought in by Julie Wolfe and the next largest amount was $960.00 brought in by Jill Stephens. We are extremely grateful to all of our participants, volunteers, gold sponsors and corporate sponsors for a very successful event. Finish times are available at http://www.smileymiles.com. Thank you all for making our event a tremendous success. Over $20,000.00 was raised to help us continue to lessen the trauma children who are abused experience through a coordinated child friendly approach. Mark your calendars for next year. 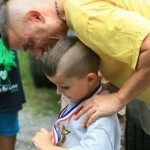 Our race event is the third Saturday in July at station 2 at Cook Forest State Park. Race photos and order form. ABC Heating, Cooling and Plumbing, Inc.
G&C Coal Analysis Laboratory Inc.
Western PA CARES for Kids Child Advocacy Center was one of two Child Advocacy Centers in Pennsylvania to receive a $1,000.00 scholarship from the National Childrens’ Alliance to attend the 2012 Leadership Conference in Washington D.C. There are 750 child advocacy centers across the nation and we were honored to receive this scholarship and training opportunity.